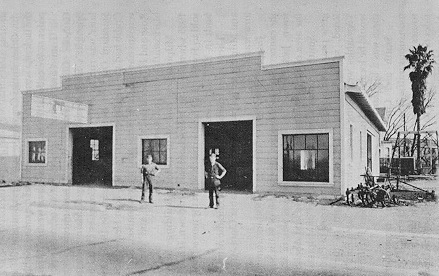 The last of many smithies that lined Main Street when it was known as the Oakland Highway, the Winsor shop was opened in 1926. The Winsor brothers, Tom and George, who built their establishment on this site were decendents of John Winsor, an Englishman who settled in Milpitas in the 1860s after a stay in Iowa. The last of its breed, the Winsor shop catered to the many ranchers, farmers and orchardists in the area. The agricultural tools made by the Winsors may still be stored in barns and sheds in the foothills. The Winsors made the branding irons used by many area ranchers. The irons were tested by heating them red hot and burning the design into the south wall of the shop. 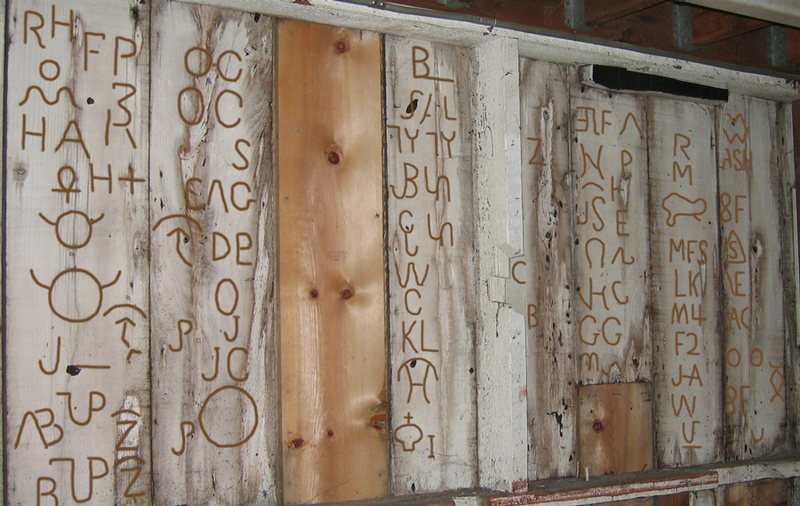 When some partially rotted boards were replaced on the south wall in 1994, several of these historic brand marks were thrown away as trash. When the structure was demolished, the remaining brands were salvaged, preserved, and mounted for display near the parking garage entrance of the Milpitas Public Library. It is fitting that this blacksmith shop should have been the last survivor of its kind in Milpitas, for John Winsor himself was a true survivor. The following account is taken from Milpitas: The Century of Little Cornfields by Patricia Loomis. “Winsor almost didn’t get to Milpitas. Coming overland in 1852, he became ill and was left beside the wagon trail in Utah Territory to die. Nursed back to health by Indians, he spent the winter trapping and then joined another California-bound train. “At the mines on the American River, Winsor met a man newly arrived from his hometown in Iowa who told him his wife had learned of his death and remarried." Today the blacksmith shop is gone. It was destroyed in 2006 to make a driveway to the new library that was being built to the north. The water tank house used at the blacksmith shop was preserved and can be seen on the east side of Winsor Street near the library parking garage south entrance.